Walmart staged this project as an experiment to validate the effectiveness of green roofs, dividing the 140,000-square-foot rooftop into 70,000 square feet of green and the other half bare membrane. 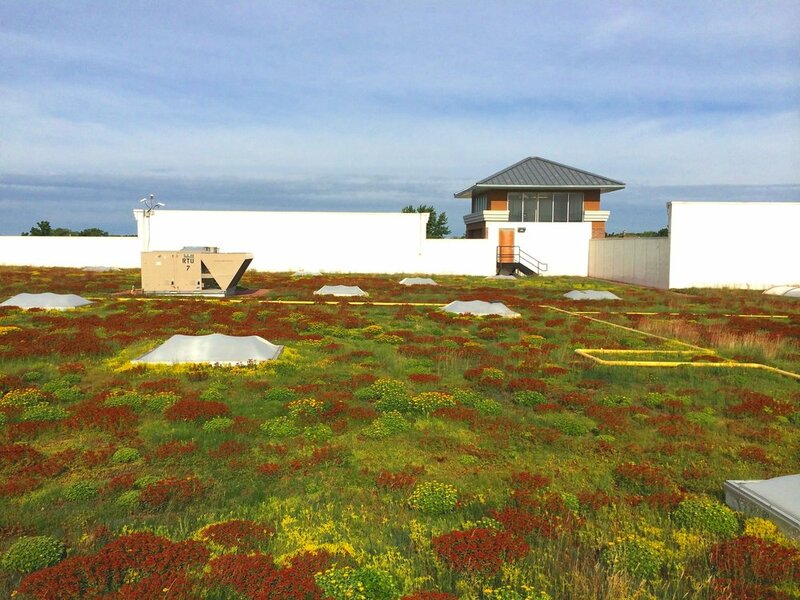 At the time that Ecogardens established this green roof on top of the Austin Walmart, it was the largest monitored green roof in the entire world. Ecogardens was active both in the installation as well as the monitoring of the green roof over the life of the two-year program, onsite every few weeks to check the data sensors, recalibrate them, check on the plants (which began as cuttings) and more. The roof quickly attracted a nesting pair of geese, offering even more evidence of the power of this habitat. The result? Green roofs proved themselves once again, and Walmart will push forward with this model. Have your own project you'd like to start? Let us know!